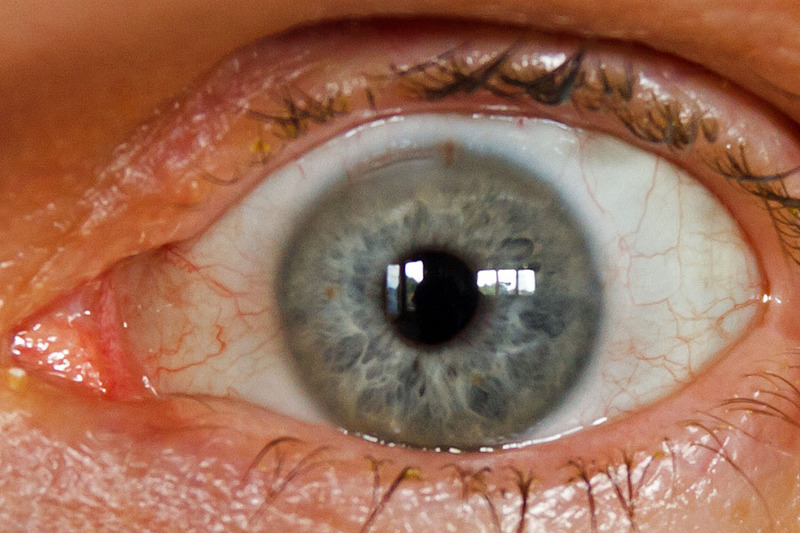 Unlabelled Humans have the ability to see ultraviolet light, but it is filtered by the eye's lens. People who have surgery to remove the lens (typically because of cataracts) can see UV light. Humans have the ability to see ultraviolet light, but it is filtered by the eye's lens. People who have surgery to remove the lens (typically because of cataracts) can see UV light. Late in his life, Claude Monet developed cataracts. As his lenses degraded, they blocked parts of the visible spectrum, and the colors he perceived grew muddy. Monet’s cataracts left him struggling to paint; he complained to friends that he felt as if he saw everything in a fog. After years of failed treatments, he agreed at age 82 to have the lens of his left eye completely removed. Light could now stream through the opening unimpeded. Monet could now see familiar colors again. And he could also see colors he had never seen before. Monet began to see–and to paint–in ultraviolet. […] With his lens removed, Monet continued to paint. Flowers remained one of his favorite subjects. Only now the flowers were different. When most people look at water lily flowers, they appear white. After his cataract surgery, Monet’s blue-tuned pigments could grab some of the UV light bouncing off of the petals. He started to paint the flowers a whitish-blue. The lens on a human eye ordinarily filters out UV rays, so we don’t see many of the things certain animals see. For example, the males and females of some butterfly species look identical to the human eye but very different to UV-sensitive eyes — the males sport bright patterns in order to attract the females!